The hottest news in town is that Samsung is launching another mid-range phone with Exynos 7872 processor. It will address all of your poor network support related issues. Samsung has a newbie to launch. A mid range phone with full network adherence. Samsung’s Exynos high-end processor is efficient. However, it possessed a limited network support. With the emergence of Exynos 7872 processor, things will get better and more wow-some. It must be noted that the Samsung Galaxy A5 2017 runs on octa-core Exynos 7570 chipset that runs on Android 6.0.1 Marshmallow. And now comes over the new 7872 processor from the house of Samsung. It is certain that this new phone would support the network requirements that include all the network bands in China. The new chip which is addressed as ‘Exynos 7872’ is built using the 14nm FinFET process which also belongs to the Exynos 7 Octa series. The reports reported that the processor would have 6 cores which would give an increased efficiency level. Additionally, the presence of two cortex – A73 cores aids in enhancing the performance. With Exynos 7872 processor, you can stay assured about the quality and performance grades. It will offer amazing network support to its users, and as far as its GPU requirements are concerned, it will possess a Mali-T830 MP2. Seeing the configuration settings, it will prove to be a big competitor for Snapdragon 65X series. A completely equipped modem also works in enhancing the level of efficiency. Claims are that this phone would assure 70% hikes in the performance level and 30% down in consumption of the power in comparison to the previous 28nm chip. 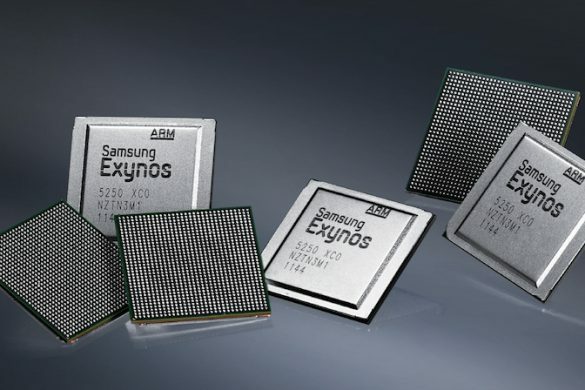 The Exynos 7872 processor would show post its launch in October in the Samsung smartphones. We are all excited for it!